South Park: The Fractured but Whole has been getting strong reviews from most outlets (including ours), and most critics have agreed it’s a better game than the Stick of Truth. But that near-universal praise has been limited to critical circles, and the game’s Steam reviews have seen a significantly more muted response for a variety of reasons. Right now, Steam shows a “mixed” response, and nearly half the user reviews are negative. Some of those negative reviews are ones you’d expect for an otherwise widely-praised game, like general rebellion against the very concept of Uplay. (And yes, Steam plus Uplay is a major irritant.) There’s also the season pass and some day one costume and perk DLC at a time when players are getting increasingly fed up with microtransactions. But those complains haven’t negatively affected other recent Ubisoft titles like Watch Dogs 2 or Ghost Recon Wildlands to nearly the same degree. Far more numerous are complaints around game-breaking bugs and glitches. There are graphical issues around non-standard resolutions, crashes, and many users have run into black screens at launch. There are also plenty of more minor issues around interface and animation hitches, but those are still enough to detract from the experience. There have been plenty of players hopping in without issue, but we’ll have to see if the reviews even out as more people get a chance to finish the story. Certainly the people hitting progression-halting bugs are posting their reviews much sooner. 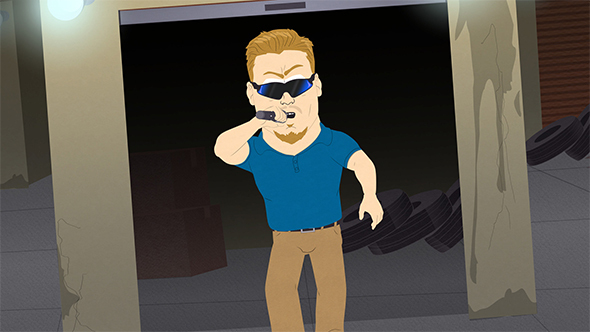 South Park may be yelling at people, but it seems the people are yelling back.